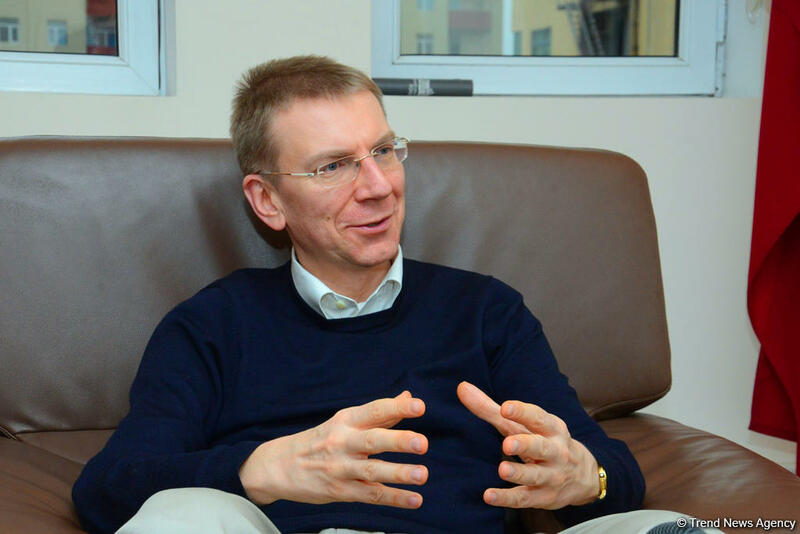 The number of Azerbaijani tourists visiting Latvia has increased by 26 percent year-on-year as of 2018, Minister of Foreign Affairs of the Republic of Latvia Edgars Rinkēvičs said in an exclusive interview with Trend. "Latvian tourists have come to appreciate the wonderful Azerbaijani hospitality and your ancient culture. We notice that Latvian tourists keep returning to your country year after year, which is a positive sign. It is also exciting to see this trend in reverse. According to the 2018 statistics, 2988 tourists from Azerbaijan visited Latvia, which is a 26% increase year-on year," said the minister. He went on to add that to enhance tourism, the Investment and Development Agency of Latvia has organised a campaign to promote inbound medical tourism ventures from Azerbaijan to Latvia. "Medical tourism is seen as a high value added product and, in our experience, it brings the much desired customers to our destinations," added Rinkēvičs. Further, he said Latvia is pleased that Riga and Baku are linked by direct seasonal air traffic. AirBaltic, the flag carrier of Latvia, also offers flights from Riga to Tallinn and Vilnius, the capitals of Estonia and Lithuania, added the minister. Further, talking about the overall bilateral cooperation, Rinkēvičs said that still, there is a huge potential for further expansion of the relations, especially in the humanitarian, educational and cultural areas. In this regard, he pointed out that in the 2017/2018 academic year, 129 Azerbaijani students were enrolled in the higher education institutions of Latvia. "In 2018, seven young Azerbaijani professionals took part in Riga Graduate School of Law programmes in European Law and Economics. The Latvian film "Dream Team 1935" was screened at the European Film Festival in Baku in October 2018. The conference "From National Independence to Eastern Partnership: Story of Cooperation between Azerbaijan and the Baltic States" was held in the Azerbaijan Diplomatic Academy on October 17, 2018," said the minister. Rinkēvičs noted that Azerbaijan is an important partner to Latvia in the South Caucasus region. "Close cooperation has been established not only between the leaders of our countries, but also between parliaments, governments, local authorities and other institutions. Latvia has always supported the strengthening of relationship between the European Union (EU) and Azerbaijan. Latvia welcomes the negotiations on the EU and Azerbaijan Strategic Partnership Agreement, which, along with energy and transport issues, will also address the reform process in Azerbaijan, thereby improving prospects for cooperation between Latvia and Azerbaijan," he added.